As a child we would visit our grandfather’s mother’s home, which at that time was the home of his cousin Sis and his sister Edith. How’s that for a genealogy knot? Today is about the back porch. The back porch was at the top of a rather large set of stairs; we would call it a deck now-a-days, but it was simply the back porch. And the door led into the kitchen. To the side of the porch was a towering tree, that I loved as a little girl because each spring it produced pink teacup flowers all over it. We called it a magnolia. It was beautiful, and the flowers were fragile. I have a photo of it somewhere on a negative. Someday, I will get the scanner working again and I will find it. It’s magnolia time in Virginia. This year, I have found a number of trees with flowers that are low enough so I can take some nice photographs. Enjoy! I will be posting more on my photo site over the next few weeks as I capture more images…Look in Flowers For Sale for the latest! Lol…both trees are magnolias…there’s just many different types. I’m lucky enough to be able to grow the sweet bay magnolia here in SW Ohio, although it is deciduous here (loses its leaves) and in the south it isn’t. There’s also the Bull Bay Magnolia, bigger leaves with hairy undersides. The pink one was a Japanese magnolia…(magnolia soulangiana) ; and since then you’ve probably run into the Star Magnolia which can also grow to tree form although it is usually a shrubby thing with early, sweet smelling flowers. 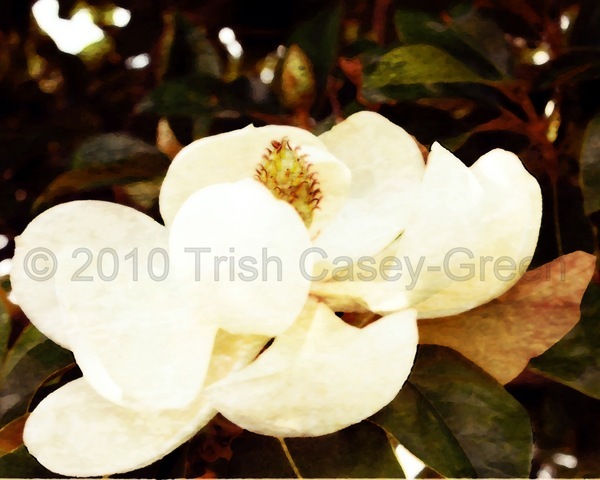 Magnolias are magnificent with their smooth bark and marvelous shapes…sweeping boughs and wonderful flowers. YUM!